A while back, we offered up a list of the most haunted places in the world but what if you’re in the US and don’t want to leave the country for your chills and thrills? No need to worry. This list is composed entirely of houses right in the USA that will be sure to satisfy even the pickiest ghost hunter – and this is just the tip of the iceberg. I decided to keep this list short so I could give you a little background on each haunted location. It was a tough call but I think in the end, I really narrowed it down to the most haunted places in America most worth checking out. Each one offers something a little different and is worth checking out for its own reasons. Enjoy! Billy Cook was a deeply troubled man. He was a drifter. He lead a troubled life. He was also a killer that murdered six people in cold blood before being arrested, convicted and executed for his crimes. What led Billy Cook to commit the horrible crimes he committed? There are lots of theories. Some feel he was traumatized by his childhood. Others feel he was just a troubled boy from the time he was born. Unfortunately, the truth is that sometimes there just aren’t answers no matter how badly we want to believe otherwise. Sometimes something just goes wrong in someone’s head and they do horrible things. Maybe someone could’ve helped him. Maybe he was beyond help. There are few things we know for sure about Billy Cook. They can be summed up fairly quickly. Billy Cook was born on December 23, 1928 in a rundown shack in Joplin, Missouri. His mother died when he was only 5 years old, leaving Billy and his seven siblings to be cared for by their father. His father was not exactly a fine upstanding member of the community. He was an alcoholic who had been known to abuse his children. Not long after Billy’s mother died, his father took his family out of the shack they’d been living in and moved them into an abandoned mine where he then abandoned them and left the children to fend for themselves. Authorities discovered the children not long after and placed most of them in foster homes. Billy, however, became a ward of the state. Billy had already developed a bit of an attitude which combined with his deformed eye made it hard for him to find someone to adopt him. He was eventually adopted by a woman who raised him but it’s long been said that she only took Billy in to collect money from the state. It wasn’t long before Billy turned to petty crime and eventually landed in court. At 12, Billy told a judge he wasn’t interested in foster care and would prefer to go to a juvenile detention center. One popular theory is that Billy believed he was going to do something terrible one day and hoped a stint in juvie would offer him the help he needed to get on the straight and narrow. Of course, this is just a theory and has never been proven. Another theory suggests he knew he was a danger to others and thought juvie would at least help him avoid hurting innocent people. After several years in a juvenile detention center, he was transferred to Missouri State Penitentiary. He was 18 at the time. Once in prison, he assaulted another inmate with a baseball bat, a crime which doesn’t seem to have extended his stay behind bars. Billy was released from Missouri State Penitentiary in 1950 and upon his release, decided to head home to Joplin. He reunited with his father whom he told his plan was to “live by the gun and roam’. That is apparently exactly what he did. He headed to Blythe, California where he worked as a dishwasher before moving east to El Paso, Texas in December of 1950. It was there that he bought a .32 caliber revolver. After being out of prison for less than a year, Billy’s killing spree began. When Billy Cook was arrested, he said, “I hate everybody’s guts and everybody hates mine”. He had the words “Hard Luck” tattooed on the fingers on his right had and that probably sums up this whole sad story. He was certainly a monster and when he was put to death on December 12, 1952 in the gas chamber at San Quentin Prison in San Quentin, California, it’s hard to imagine he wasn’t relieved. This isn’t the end of the story though. According to many, Billy Cook has done anything but rest in peace, still appearing around the Peace Church Cemetery in his hometown of Joplin; haunting the place that holds his unmarked grave. There is little doubt you’ve heard of Alcatraz. Not only is this location one of the most haunted places in America, it is also one of the world’s most famous prisons. Scores of movies and television shows have been made about The Rock or have featured The Rock in some prominent way. There is a reason for that. It has a truly fascinating story. 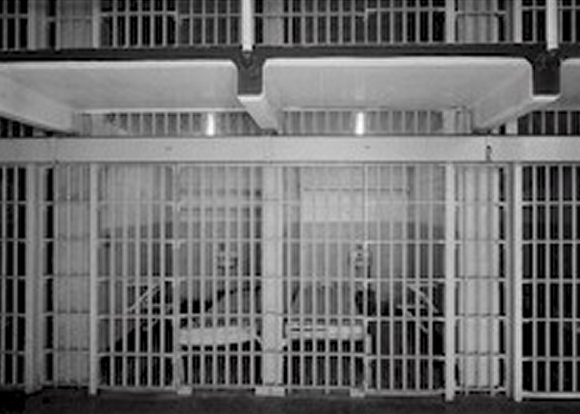 Opened as a federal prison in 1934 and closing its doors for good in 1963, Alcatraz earned a reputation as the place the worst of the worst served their time. It was believed that in order to earn a stint in Alcatraz you had to have committed an especially heinous crime. That isn’t the way the Alcatraz story begins though. For the beginning, you have to go back much further than 1934. Alcatraz (the main prison itself) was built between 1910 and 1912 and served as a military prison. A citadel on Alcatraz Island dates back even further than that. It continued to be used in this manner until it was purchased by the United States Department of Justice in 1933. The United States Department of Justice had big ideas for the island, planning to turn it into a maximum security prison to hold high risk offenders. They wanted this prison to hold the absolute worst of the worst – the prisoners that consistently caused trouble at other facilities and needed to be held with a higher level of security. The frigid waters of the San Francisco bay almost guaranteed the security they felt was needed. While in operation, Alcatraz housed more than 1500 of the most notorious criminals in American history including Machine Gun Kelly, Alvin Karpis, Mickey Cohen, Al Capone, Whitey Bulger and scores of others. It also earned its reputation as one of the most vicious prisons in US history. Rumors of secret experiments being performed on inmates as well as rampant abuse of inmates by staff members ran wild. It’s hard to say how much is fact and how much is fiction but one thing is for certain – many, many people believe Alcatraz is one of the most haunted places in America. Tuberculosis swept across America in the 1800s and early 1900s, filling hospitals and necessitating the construction of brand new hospitals dedicated to caring for patients with TB. The Waverly Hills Sanatorium was one such structure. Completed in 1926, Waverly Hills was considered far more advanced than most of the other facilities used to treat TB in the United States. Despite its rather distinguished reputation, the facility was still a failure in terms of its mission. While many of the patients taken to Waverly Hills for treatment recovered from their illness and were able to leave, there were also many who weren’t as lucky and often times, even those who survived wouldn’t necessarily call themselves lucky. The treatments for tuberculosis in Waverly Hills were oftentimes as bad as, or worse than, the symptoms of the disease itself. Little was understood about TB in those days and there was no medication to offer patients that could effectively combat the symptoms patients suffered through. Because so little was known about the disease, treating it involved a lot of experimentation. Some of the experiments were valuable and helped make important advances in how TB was treated. Others were far more barbaric. Even seemingly innocent treatments look a little harsher when you really think about how they were done. Fresh air, rest and nutritious foods were all factors thought to be important to recovering from TB. For that reason, Waverly Hills featured sun rooms used to treat patients. 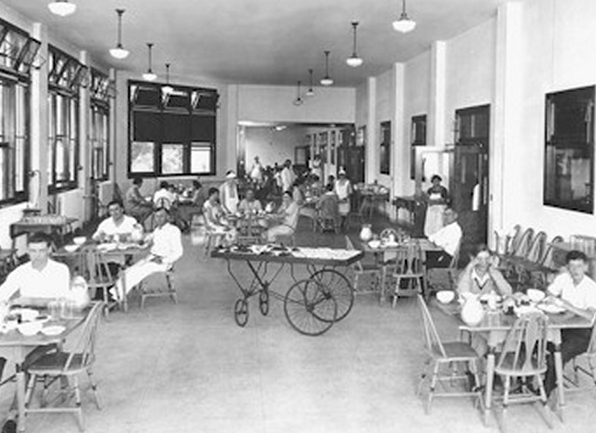 In some of these rooms, patients were exposed to ultraviolet light meant to mimic the sun. The theory was that this light would help slow the spread of bacteria. Sun rooms that used ultraviolet light via an artificial light source were sometimes unpleasant but they pale in comparison to the porches or open windows patients were sometimes set in front of. While during warmer months, this treatment would probably work wonders, this treatment wasn’t just offered in warmer months. Photos exist of patients sitting on the porches or in front of the windows at Waverly Hills Sanatorium in the midst of winter; snow seen clearly on the patients. Of course, the treatments at Waverly Hills Sanatorium went far beyond the sun rooms and porches. Some of the more brutal treatments included the surgical insertion of balloons into a patient’s lungs. The balloons would then be filled with air, expanding the balloons inside the patient’s body. The result of this one was almost always devastating. Of course, it doesn’t compare to the treatment referred to as “the last resort”. For this procedure, doctors would remove muscles and ribs from the patient’s abdomen. The theory was that by doing this, the doctors were allowing the lungs more room to expand. Patients who underwent this treatment rarely survived. Waverly Hills did not have the abysmal success rate some would like to claim. Many patients did recover from the disease and were able to leave on their own accord. There were, however, many who didn’t. Survivors left Waverly Hills through the front door. Those that died inside Waverly Hills left via the body chute. The body chute is just as macabre as it sounds. Because doctors at Waverly Hills felt it was important to care for patients mentally as well as physically they decided it wouldn’t be good for anyone if patients saw how many of their fellow sufferers didn’t make it. To attempt to hide the mortality rate from patients – and possibly from outsiders as well – a secret tunnel was constructed that connected the hospital to the train tracks that were conveniently located at the bottom of the hill the hospital had been constructed on. Bodies would be moved through this tunnel to trains waiting below. The trains would then take the bodies away from the hospital. No one knows for sure how many bodies made this sad journey. The discovery of new medications more or less eradicated TB in the US, meaning there was little need for Waverly Hills to remain open. It closed its doors in 1962. That is not the end of the Waverly Hills story though – just the end of the story under that name. A year after closing, the Sanatorium reopened once again; this time under the name “Woodhaven Geriatrics Sanitarium”. Woodhaven was plagued by rumors of mistreatment and abuse by staff but many of those rumors were later proven false. Even so, electroshock therapy was used to treat a wide variety of ailments – something not terribly uncommon in those days. When budget cuts in the 1960s and 1970s struck Woodhaven, conditions inside the facility deteriorated rapidly. Woodhaven eventually closed its doors in 1982, bringing to an and its legacy of abuse. Today, Waverly Hills Sanatorium/Woodhaven Geriatrics Sanitarium continues to draw thrill seekers and ghost hunters, eager to experience a real life sighting or some other kind of paranormal activity. Many skeptics have become believers thanks to Waverly Hills which isn’t all that surprising considering its history. By now, most of us have heard the story of Lizzie Borden, a young woman from Fall River, Massachusetts accused of murdering her father, Andrew and her stepmother, Abby, with an ax in August of 1892. Her guilt or innocence has long been a subject of debate and is a debate I have been on both sides of. When I first heard the story of Lizzie Borden, I was convinced she was innocent and believed the maid that worked for the Borden family, Bridget Sullivan. Maybe it really was Bridget that committed the crime. Maybe it was a drifter. Maybe it was Lizzie. I do believe, however, believe that Lizzie not only knew who was responsible but also covered up the crime. Why? I have no idea, honestly. I’m an armchair theorist, not a police investigator. It does seem clear from the evidence that Lizzie was lying about something when she was questioned by police. 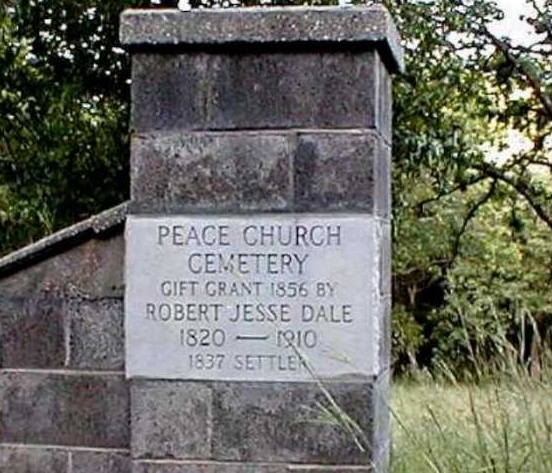 Everything began on August 4, 1892 when Andrew Borden and his wife Abby were found brutally murdered in the home they shared with Lizzie and Bridget. Prior to the murder, the Bordens seemed to have a very normal life. Andrew and Abby were married after Andrew’s first wife, Sarah Anthony Morse Borden, passed away from uterine congestion and together they raised Andrew’s two young daughters, Lizzie and Emma. Emma remembered her mother well while Lizzie was too young at the time of her mother’s death to have any clear memories of her birth mother. As the elder child, Emma became quite protective of Lizzie, Both girls had a seemingly chilly relationship with their stepmother, Abby – a fact that may have lead to the initial suspicion that Lizzie and Emma could be involved in the murders. Both girls called Abby “Mrs. Borden” instead of something more familiar but beyond that, it really is hard to say what their relationship was really like. All that is known for sure is that something went terribly wrong on that morning in August and as a result, two lives were lost and many others were changed forever. Bridget Sullivan was out of bed first that morning, heading downstairs to make a fire in the kitchen to prepare breakfast for the family. Andrew and Abby rose roughly an hour later and joined their house guest, Uncle John Morse, in the kitchen to eat. John was no stranger to the Borden household. He was Andrew’s first wife’s brother and Lizzie and Emma’s uncle. He visited often although some claim there was tension between Andrew and John. Andrew, John and Abby ate breakfast together that morning, talking for an hour before John left to visit his niece and nephew who lived nearby. By the time he returned later in the day, Abby and Andrew were dead. Lizzie opted to skip breakfast with the family that morning in favor of sleeping in. According to testimony by Bridget later on, this was nothing unusual for Lizzie. Neither Lizzie nor Emma often chose to eat meals with their parents. Lizzie and Emma felt they were living below their means. The home they shared with Andrew and Abby lacked indoor plumbing and was in a more working class part of town. Most people that shared their wealth lived in a more well to do part of town but Andrew was frugal. He was satisfied with where he lived. That fact was the source of much tension between the girls and their father. Was that tension enough to cause one, or both, of the girls to commit murder? After John left, the story begins to get hazy. Everyone in the household had been experiencing symptoms similar to those which one would experience if they suffered from food poisoning or the flu. When Lizzie stated she wasn’t feeling hungry and had only a cup of coffee and a cookie for breakfast, it was assumed she may be feeling whatever everyone else in the house had been feeling. Bridget certainly seemed to be, claiming she needed to leave the house to vomit shortly after Lizzie came downstairs. Andrew left just after 9am to run errands downtown and was let in by Bridget when he returned at 10:45. Lizzie told Andrew Mrs. Borden had gone out to see a friend who was sick. This was not true. Abby Borden had already been murdered while making the bed in the guestroom for John Morse. Andrew laid down on his favorite sofa and drifted off to sleep while Lizzie heated an iron to press some handkerchiefs. She mentioned a sale on fabric at a local store to Bridget, perhaps in an attempt to get Bridget to leave the house. Perhaps she just wanted to share the news of a good sale with a young woman who had been working for her for quite some time. We don’t know. All we know for sure is that Bridget, feeling unwell, went to lay down while Lizzie pressed her handkerchiefs. Not long after, Maggie was summoned downstairs by a frantic Lizzie. Andrew Borden was dead; murdered with an ax as he napped. To this day, no one has been convinced for the murder of Andrew and Abby Borden. While Lizzie was charged for the crime, she was acquitted. She did, however, live out her days as an outcast in her hometown, never escaping suspicion. 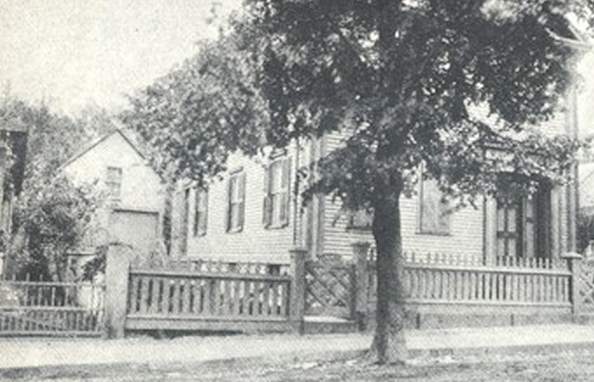 Like many of the most haunted places in America though, the Borden house remains a tourist attraction, drawing in thrill seekers and ghost hunters from all over the world, many insisted they have seen the ghosts of Abby and Andrew Borden wandering the halls of the home, especially in the guestroom where Abby met her untimely end. Dr. Louis LaLaurie and his wife, Delphine, moved into this Creole mansion in 1832 and immediately went to work decorating the interior of their new French Quarter home with only the finest things money can buy. This was a house that was meant to showcase the family’s wealth with delicate iron work throughout the house, beautiful mahogany doors that had been hand carved with flowers and faces, giant chandeliers, hundreds of candles, expensive Oriental fabrics and European china. Naturally, these extravagant touches weren’t just enjoyed by the LaLaurie family. 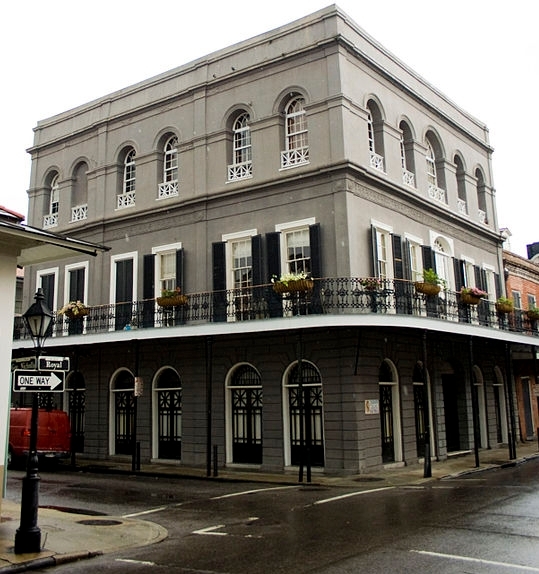 The mansion hosted scores of social events and Mrs. LaLaurie was the bell of the ball. She was widely seen as one of the most beautiful, most respected people in the city – people who knew her often holding her in the highest regard … at least for a while. The LaLauries kept a number of slaves in their employ as was fairly customary in the area at that time. What was not customary, however, was abusing and torturing those slaves. New Orleans had laws in place that were designed to prevent the abuse of slaves, laws the LaLauries paid little mind. Delphine was believed to be the worst – known to brutally torture and abuse the slaves she kept, even chaining her chef to the stove in the kitchen. Eventually, neighbors became aware of the conditions the LaLaurie slaves were living in and alerted police. The slaves were removed from the home and auctioned off. Sadly, the LaLauries talked a relative into buying the slaves and that relative returned the slaves to the LaLaurie home. Nothing was done to prevent this from happening. It wasn’t until a fire broke out in April of 1834 that people really began to understand the horrors the slaves were subjected to. Many believe the chef, unable to stand the torture any longer, set the fire deliberately to expose Delphine’s cruelty to the world. It did just that. Firefighters who responded to the fire found far more than smoke and flames in the LaLaurie mansion. They also began to uncover the true extent of Delphine LaLaurie’s madness behind a secret door in the attic. The door had been barred, clearly as an attempt to prevent anyone other than Mrs. LaLaurie from entering. This did not stop firefighters from entering and discovering the atrocities she had been hiding for so long. Many of the slaves Delphine had chained to the walls had died. Others were still clinging to life but were in such misery they were asking for death. The atrocities Mrs. LaLaurie committed in that attic are so heinous in nature, I won’t even begin to go into them here. The firefighters who responded to the scene fled immediately, too disgusted by the things they were seeing to remain in the house. Doctors were sent to see what could be done to save the slaves that had survived and to determine the causes of death of the ones who had passed away. Doctors were horrified, learning many of the slaves had been brutally tortured while they were still alive. Word quickly spread about the terrible things that had happened behind that locked door and an angry mob quickly formed. A carriage appeared carrying the LaLaurie family then disappeared from sight. The LaLaurie family was never seen again. No one was ever brought to justice for the crimes against the slaves. Some think the LaLaurie clan fled to France while others believe they remained in the area, sheltered by family members and the few friends they still had. It is believed Madame LaLaurie was solely responsible for the atrocities in the attic but that her husband turned a blind eye to what was going on and is therefore guilty as well. Did the LaLaurie children know? Did the other slaves know of the horrors in the attic? No one knows and it is unlikely anyone ever will. We don’t even know for sure how many men and women lost their lives at the hands of Delphine LaLaurie, one of the world’s most notorious female mass murderers. It is said that the spirits of the slaves tortured and killed in that real life house of horrors still wonder the halls to this day. Im surprised the manteno state hospital isn’t in that list! I actually live I front of it in a small community! If u look up “manteno state hospital” on the Internet, a bunch of pics will show up! SCARY!! !